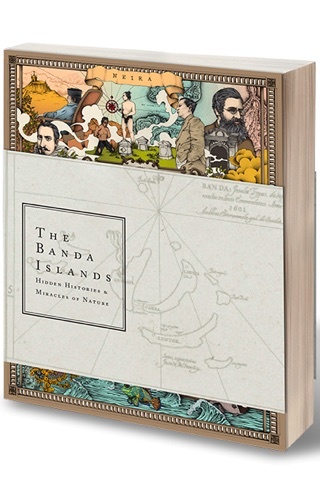 The Banda Islands: Hidden Histories and Miracles of Nature is an eclectic anthology of writings, photographs, illustrations and maps relating to Indonesia’s Banda Islands. Featured authors include Ian Burnet on the brutal Dutchman Jans Pieterszoon Coen, Giles Milton on the island of Run, Amitav Gosh on spices, Des Alwi on the Japanese occupation and Fatris Mf, who took part in a three-year project documenting the human consequences of the spice trade. There are plenty more, with photographers and artists given prominence, too. The outcome, in a nutshell, was that despite their remoteness and diminutive size, the Bandas became a key and bloody theatre of colonial rivalry between the Dutch and English. In 1621, in an incredibly brutal and genocidal act, the Dutch slaughtered or brought into slavery some 14,000 Bandanese, out of a population was 15,000, as they cemented the beginnings of the Dutch East India Company (Verenigde Oost-Indische Compagnie or VOC) and indeed the global capitalist system. Then in the more modern era, the Dutch banished Indonesian radicals to the Bandas, making them a kind of tropical Siberia. Sutan Sjahrir and Mohammad Hatta, major figures in Indonesia’s anti-Dutch struggle, were among the imprisoned. Why delve into the history of the Bandas? Though today largely forgotten (and sometimes literally left off maps), the Bandas were indeed at the centre of some key historical moments: the beginnings of today’s financial system, and the beginnings of Indonesia as a nation. This is a book packed with various perspectives on the islands, including colourful local mythical stories, archaeological information and rich political and social history. Beautifully produced, it’s particularly great for map lovers, and it includes a reproduction of the beautiful earliest map including the Banda Islands. The only thing missing, sadly, is an index for quick reference to particular subjects. This is a book to read if you’ve more than a passing interest in Indonesia, and of course it’s essential reading if you’re heading to the Banda Islands themselves, still a far-flung enough place to require quite a bit of time to reach from Jakarta. 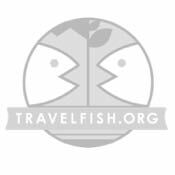 Whether flights run here or not from Ambon is an on-again, off-again situation, and forget about firming up a ferry timetable so you can plan a trip here with military precision—you’ll just have to wing it, old-school style. At least you'll have this book to browse if you get stuck on a pier or on a boat. While you can’t buy this book through Book Depository or Amazon, if you’re travelling to Indonesia you can snap up a copy at Periplus (be warned that you may need to try a few stores though—they should be able to tell you where it’s stocked) or email banda@kabarmedia.com for a copy priced at 395,000 rupiah (with 10% of sales going to sustainability initiatives on the Banda Islands).